Researchers have determined that when we visualise something in vivid colour with detail, our minds cannot determine if we’re actually looking at the item or merely imagining it. Kreisha Ballantyne explores the process of visualisation in aviation. The technique of visualisation emerged in modern culture as a legitimate learning method after a study conducted on Russian athletes demonstrated the power of mental imagery. In what is now a well-known experiment, Russian sport scientists conducted a creative visualisation experiment with a group of Olympic athletes. Group 4 received 25 per cent physical training with 75 per cent mental training. Group 4, with 75 per cent of their time devoted to mental training, performed the best. Following this experiment, independently, physiologists began to conclude that consistent and focused visualisation would actually improve ‘muscle memory’. They determined that even small and subtle muscle movements would translate into real physical movements when engaging in actual activity. Visualisation has also been called guided imagery, mental rehearsal, meditation and mental practice. No matter the term, the basic techniques and concepts are the same: visualisation is the process of creating a mental image or intention of what you want to happen or feel in reality. An athlete can use this technique to ‘intend’ an outcome of a race or training session, or simply to rest in a relaxed feeling of calm and wellbeing. By imagining a scene, complete with images of a previous best performance, or a future desired outcome, the athlete is instructed to simply ‘step into’ that feeling. In a review published in the British Journal of Anaesthesia—psychologists define mental practice as the systematic use of one’s mental imagery to ‘see’ and ‘feel’ an action in one’s mind, without engaging in the physical execution of the action in question. Imagery can be applied across all sensory modalities, which means that humans have the capability to simulate ‘seeing’ a scene or object mentally, ‘hearing’ a sound, or ‘feeling’ a surface and so on. Importantly, imagery shares neural mechanisms with actual motor preparation and execution processes, allowing the participant to use imagery to improve motor performance in particular. The existing evidence suggests that mental practice can improve a range of motor skills—including golf-putting, high-jump, service return in tennis, and dancing. ‘From the perspective of healthcare providers, mental practice is a very attractive option for training and performance enhancement—in contrast to typically expensive simulation-based facilities and tools—mental practice is freely available to everyone,’ the study said. While visualisation is now commonplace in the field of athletics and sport in general, the technique has barely emerged in general aviation, with the exception of competition aerobatics. However, with the movement of mental practice techniques in general across a broad section of business and development websites, instructors and educators are naturally beginning to encompass visualisation methods into their training manuals, if not formally, then at least verbally. Nine months later, I was a private pilot. And seven years on, the technique of visualisation benefits me in setting further aviation goals—I see that IREX (instrument rating exam) pass in my mind in the same way as actor Jim Carrey used the power of visualisation to keep himself focused on his goals by writing the exact amount of money he wanted to make on a cheque entitled ‘acting services rendered’. Amazingly, he ended up achieving the exact amount 10 years later. Mental visualisation also aids me in planning and executing my flights, as well as deconstructing the trips at the end of the day. When Marty was instructing regularly, most students would come in about once a week. ‘The first part of each lesson was often spent revising various sequences, often wasting precious airtime and money,’ he says. ‘Very early on in my career, I encouraged and trained my students in various visualisation techniques and the results were extraordinary,’ he says. ‘Not only did I rarely see a deterioration in performance, but I often saw a noticeable increase in skill and fluency. It was most evident while conducting busy sessions of circuit training. It became so apparent that supplementing actual flight training with visualisation techniques was so important that I would schedule lessons far enough apart to ensure that students could ‘practise’ at home at least a few times. I would encourage anybody learning to fly to engage in repeated and focused sessions of visualisation. It will improve your performance and it will save you money,’ Marty concludes. Aerobatic and race pilot, Matt Hall, is a vocal advocate for mental preparation, conducting seminars across the industry on the importance of visualisation in flight preparation. ‘I spend a great deal of time making sure I’m just as mentally engaged, whether I do something for the thousandth time, or I’m doing it for the first time,’ Hall says. ‘Performance anxiety clouds the brain and stops you thinking clearly and operating naturally,’ Hall continues. ‘The key is extreme preparation and rehearsal so when you step up to the plate you’ve got no self-doubt. You’ve done everything you can to be successful. In your mind, you know exactly how it’s going to play out if it goes perfectly, and you are also confident that if it doesn’t go perfectly, you know what you’re going to do, how you’re going to see it, how you’re going to react. This is all part of my mental routine. I have a very formal routine which I follow to make sure I am fully aware of the risks I will be facing: risks that can potentially strike without notice as well as the consequences of acting poorly or slowly should a risk present itself to me. This is where I use the phrase “operating with a sense of chronic unease” because although I’m incredibly trained at what I do, I’m always expecting the unexpected. The passenger and emergency briefings are actually visualisations of actions you will take should an emergency arrive. When you say, ‘in the event of an emergency with no runway remaining I will land straight ahead, within 30 degrees either side and I will not turn back,’ you are actually outlining mentally exactly what you will do. To aid muscle memory, physically touch the controls you will manipulate while giving the emergency briefing. In my case, I always physically touch the Cirrus aircraft parachute system (CAPS) handle on the Cirrus, both in the briefing and when I attain CAPS deactivation altitude (500 or 600 ft, depending on the model). I recently had the privilege of spending many flight hours with a pilot who’d flown solo around the world. For him, visualising potential emergencies in flight helped him prepare for his gruelling journey, and as such, he would always spring imaginary emergencies on me when I was pilot-in-command. For instance, we’d be at 500 ft flying coastal and he’d say, ‘in the case of an engine failure here, what would you do: pull the chute or attempt to land?’ Or, over mountains, ‘if we had an engine failure here, where would you attempt to land?’ It’s a practice I’ve taken with me in each of my flights. Imagine a cockpit fire, an alternator failure, a radio failure. 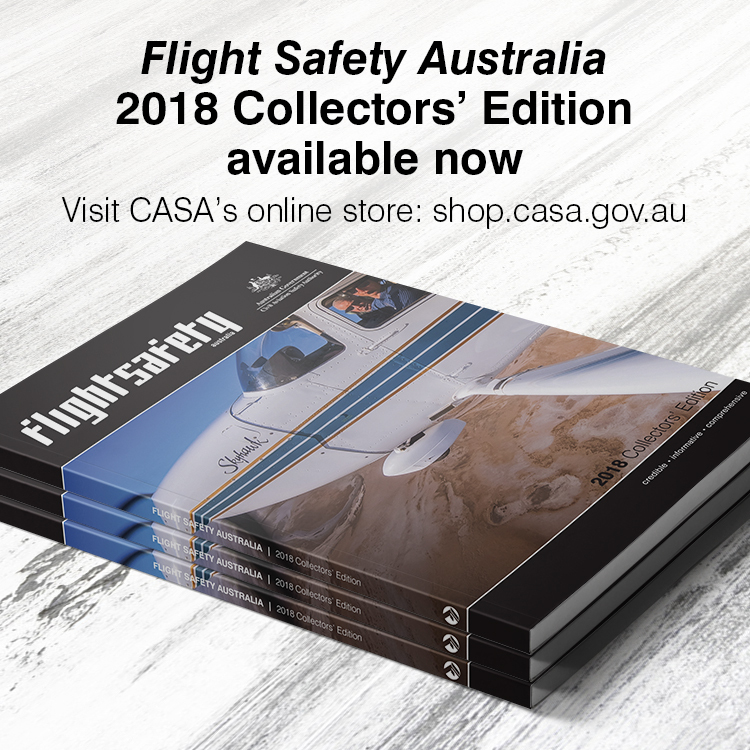 The time you spend in flight actualising these techniques may well save you time in the case of a real emergency. Stay current with emergency procedures. Hire an instructor, or head out to the training area once in a while to conduct these procedures in order to avoid complacency. I’ve yet to conduct a flight on which I haven’t made any mistakes. After the flight, I like to make notes of the areas in which I can improve. At night, I re-fly my flight, this time with me amending the mistake. 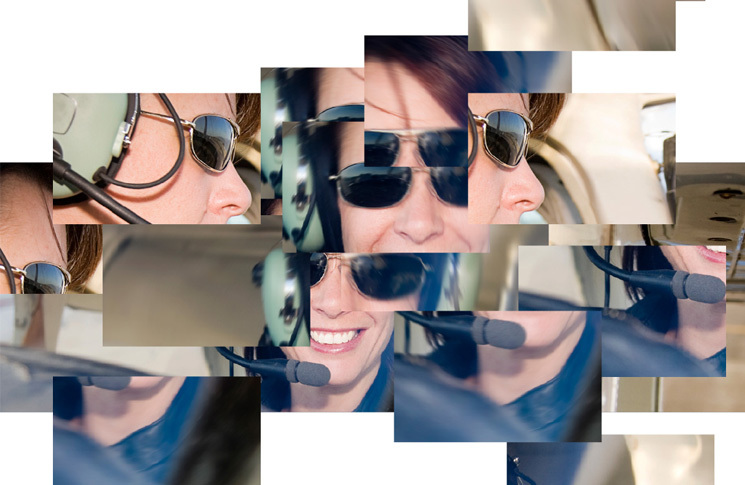 Post flight, I deconstruct the mistakes to discover whether I’m susceptible to certain distractions or pressures. Frequently forgetting to turn the boost pump off at top of climb has allowed me to build in a reminder (at desired altitude, the autopilot dings like the Avon lady, and I say ‘boost pump calling!’ in a reminder to switch it off before I lean the aircraft).